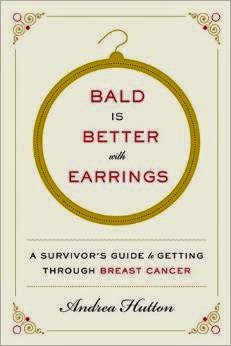 Advice and helpful hints for women diagnosed with breast cancer from one who's been there, had that. I'm writing everything I wish I had known when I was diagnosed. A graduate of Duke University, Andrea Hutton was diagnosed with breast cancer in 2009 at the age of forty-one and is now a critically acclaimed author, speaker and wellness expert. Her work on breast cancer and women’s wellness has been featured in such varied outlets as: The Washington Post, Women’s Health and Psychology Today. As a breast cancer survivor, and advocate who has “been there, had that” Andrea Hutton is on a mission to empower and educate women on how to take charge of their own health. Andrea is now five years out and cancer-free. She lives in Santa Barbara, California with her husband, two children and two dogs and when she's not writing, she can often be found walking on the beach collecting sea glass.